Sometimes I realize that at earclips I have to think about some older ladies with beautifully wavy hair, usually a big pearl or rhinestones. Nonsense! Because you do not have holes and you want to wear trendy and modern earrings? Then our earring clips are the solution for you! 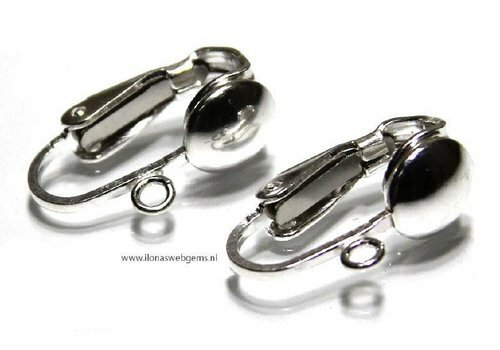 We have a small assortment of earring clips in our webshop. With this you also make earrings that are perfect to your liking and fit perfectly with your favorite outfits. That's easy with precious stones and jewelery pieces that you can also find in our webshop. You decide how your clip earrings look like, what kind of gemstone beads or other beads you use and in what colors. Earring clips: Let your imagination run free! So remember what kind of earrings you want to make and then let your imagination run free. Do not you know what you would like to make, which style or any jewelry? Then inspire you by taking a look at the self-made earrings in our inspiration section . There are almost twenty different examples to make your own earrings. From minimalist earrings to royal 'Maxima style' earrings. Replace the earpiece used in our design with an ear clip and done! And say yourself ... great earrings that make you shine you never have enough! 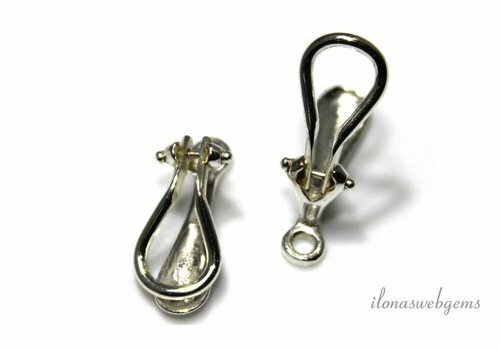 Do you have 1 or more suggestions for earring clips or other jewelry items that are missing from our website? 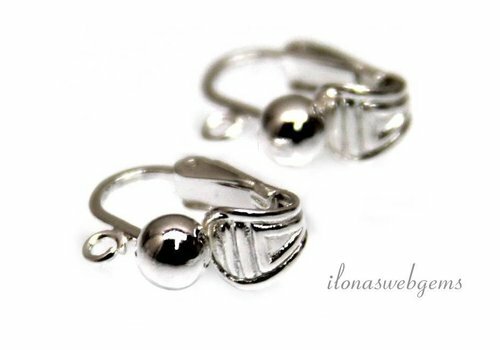 Send an e-mail to info@ilonaswebgems.nl and see if we can take them in our assortment.